Soft gathers and raglan flutter sleeves fall from the wide V-yoke. 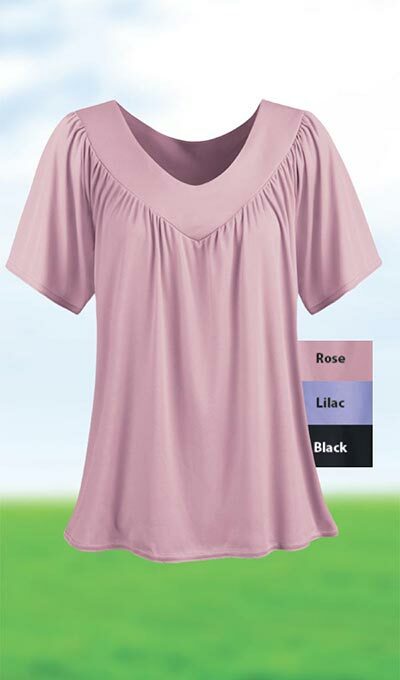 Pure Comfort V-Neck Top features a pullover style in polyester knit with a comfortable fit. Machine wash. Imported. Misses, approx. 25"l.